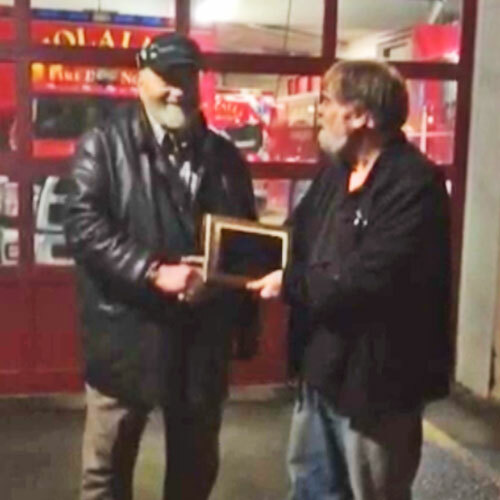 Awarded annually by the Pacific Northwest VHF Society (PNWVHFS) this award is given to the amateur(s) in the Pacific Northwest who have gone above and beyond the call to further VHF+ activity. Recognition may be given for activities such as: Technical Achievement/Advancement, Teaching, "Elmering", Public Service, etc. The PNWVHFS Board of Directors is the jury for these awards. Anyone may nominate someone for this award. Nominations should be sent to the Director in which the amateur resides. He/she will then distribute the nomination to the other members of the board for discussion. The nominee does not need to belong to PNWVHFS. 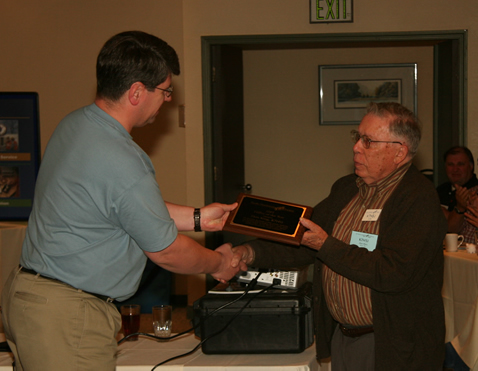 This award will be awarded annually at the Pacific Northwest VHF conference. Nominations will open approximately 60 days prior to the conference. Watch the PNWVHFS website and stay tuned to the Society email reflector for further info. For kickstarting regional microwave activity by starting a new microwave email reflector, organizing projects and purchases and build activity, providing technical advice and programming, and helping hams get on 10 GHz and other microwave bands. 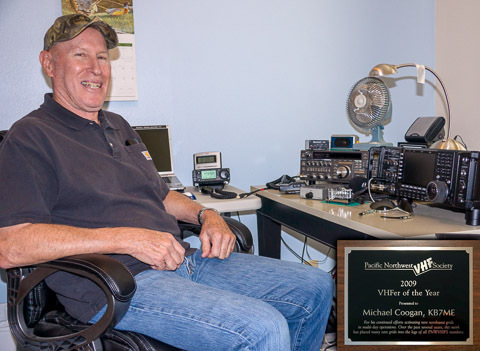 For recruiting and mentoring regional hams in VHF, Microwave, and SOTA activity, along with developing skills in building antennas and operating contests, and more. His enthusiasm is catching and admirable. 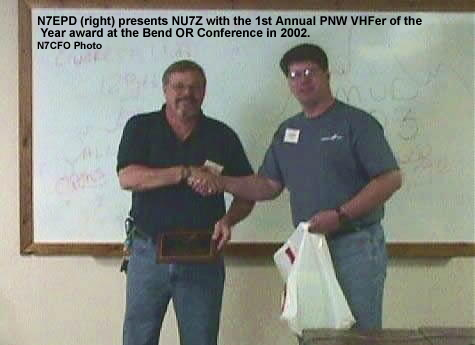 For successfully starting an active VHF group in southern Oregon, sharing information with regular meetings and promoting VHF activity and the Society around the CN82 grid square. 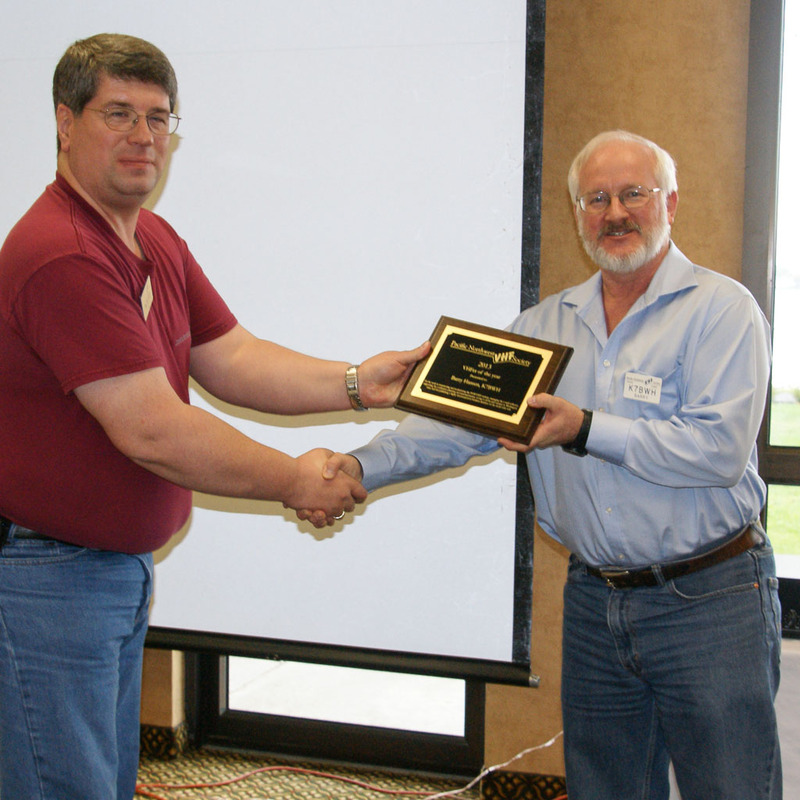 For his active participation in the 2-meter Weak Signal Nets and his 6-meter DX success. Lou has again proved that optimized antennas along with enthusiasm and effort will make the difference. 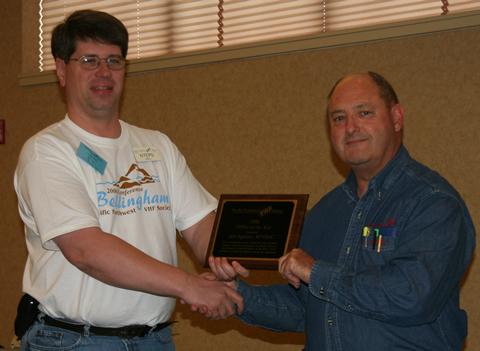 For advancing the art of VHF contest roving in the Pacific Northwest. 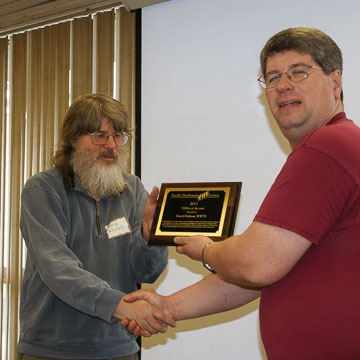 He has continually refined everything about his equipment and strategies for our region, built rover antennas and mounting systems, often winning his category, been published in QST for flying his airplane in VHF contests, and best of all for publishing his detailed travelogues, photo essays and strategy guides on his blog. 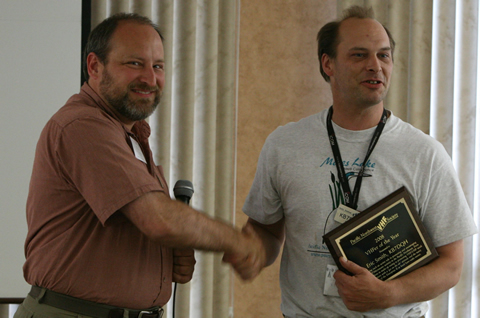 For his work in resurrecting and modernizing the PNWVHFS website, managing the email reflector, supporting the conference planning and announcements, roving to all the grid squares in Washington state, and for publishing a highly functional rover location database on the world wide web. For encouraging VHF/UHF/Microwave activity east of the mountains, where it is very much needed, through grid activations and mountain topping on contests and weekends, serving all who have followed his travels. 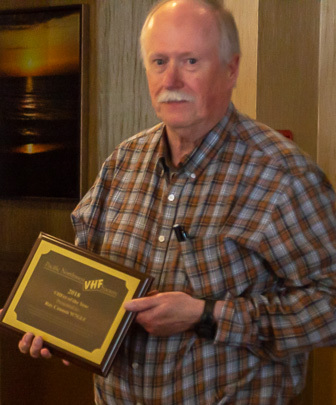 For consistently promoting and encouraging VHF/UHF/Microwave activity in the Pacific Northwest by getting more Vancouver Island hams involved in VHF and by roving and activating Canadian grids for appreciative members and contest operators throughout the Northwest. 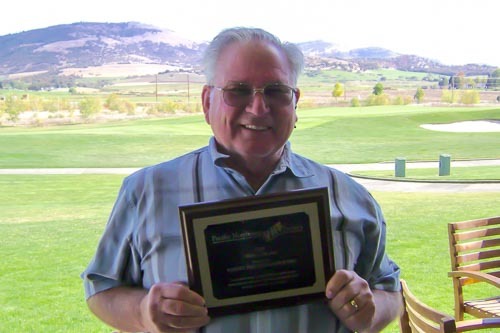 For his continued effort in activating rare northwest grids in multi-day operations. Over the past several years, this work has placed many rare grids into the logs of all PNWVHFS members. 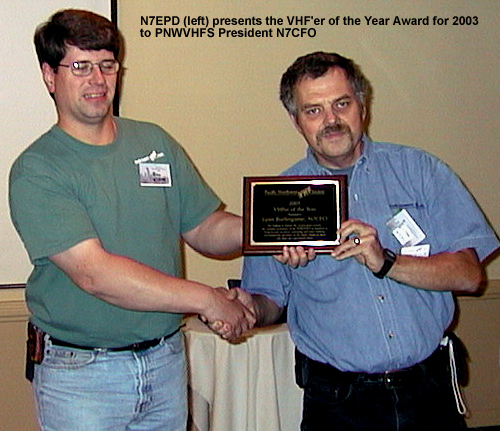 For taking such an active role in promoting and encouraging VHF/UHF/Microwave activity in the Pacific Northwest. From pioneering efforts in multi-op roving to promoting VHF/UHF weak signal operations with a 'get on the air' attitude and the many appearances of the Enterprise II at local ham-radio events. 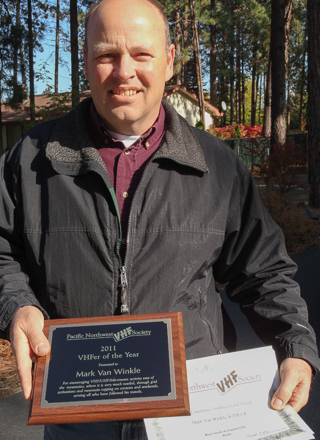 "For promoting the growth of VHF activity, mentoring new operators and encouraging them to remain active in Central Oregon. He has also been a past director and hosted 2 previous society conferences." 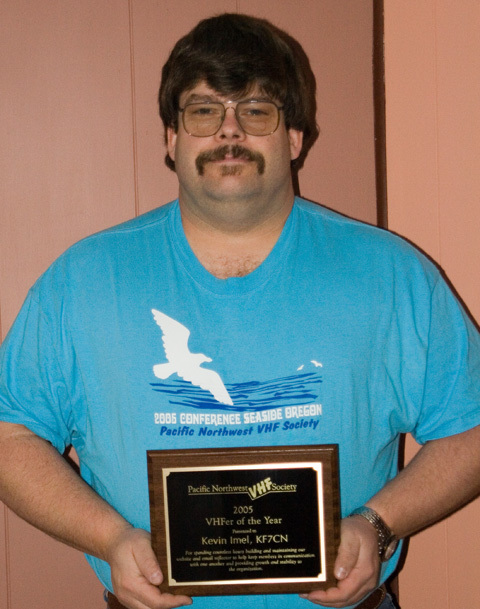 "For co-founding the society, writing the society newsletter, playing a major role in organizing the annual conference, representing the Pacific Northwest on the ARRL VUAC committee and tirelessly helping to manage the organization." "For spending countless hours building and maintaining our website and email reflector to help keep members in communication with one another and providing growth and stability to the organization." 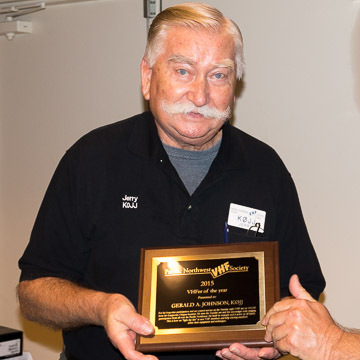 "For being instrumental in getting activity going in Eastern Washington and Idaho, always being there to help, spreading enthusiasm, sharing ideas and being helpful with ways to improve our stations." 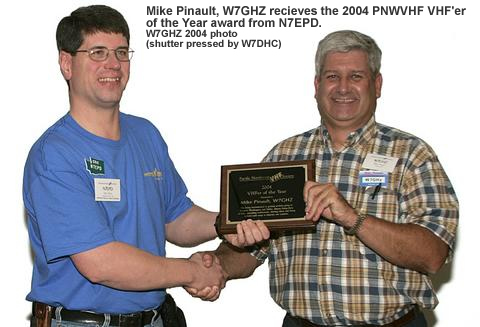 of the PNWVHFS at hamfests to bring in new members, contesting and rover training, and promoting operation on the higher bands to those who have not experienced them." 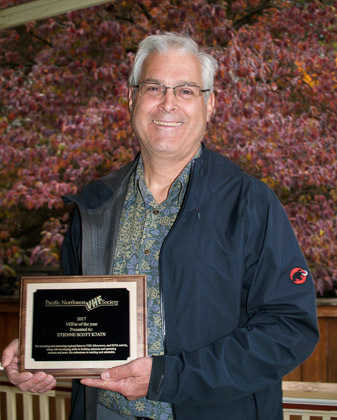 "For promoting VHF, UHF, and microwave activity in the Pacific Northwest through technical support, coordinating group purchases at Down East Microwave, and bringing the prestigious Microwave Update to Seattle next year."